Students should make no plans for holidays this weekend. This the opportunity to review your papers and if you think that they have not been corrected properly . You must ask for a recheck. 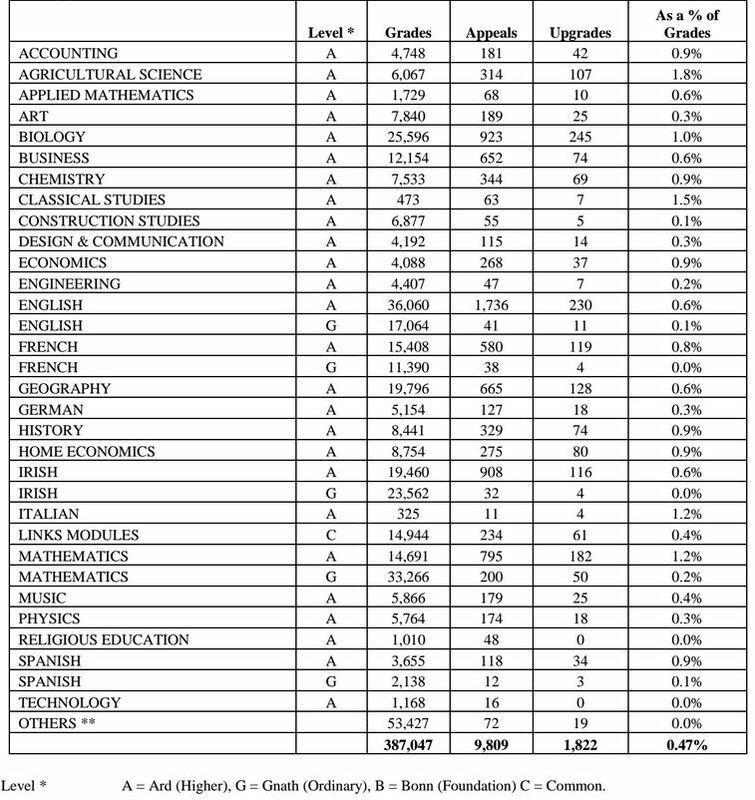 The figures can be read differently (they are made look as a very low by SEC)The percentage of those that applied for a recheck who got an upgrade is more interesting. For LC H Maths 795 asked for a recheck and 182 were upgraded that’s 23% .Based on this about 1 in 4 of those who applied for a recheck in H Maths were upgraded! In the case of Agricultural science the figure was 34% and Italian it was 36% were upgraded .Only 5 students were downgraded!